One of the ways to decrease the chance on diseases and infections is the use of our cleaning machine. This machine can be connected in line with the conveyor belts. After every cultivation round, the floats can be cleaned using this machine. The machine uses hot water (70 ͦC), high pressure and disinfectants to clean a float. 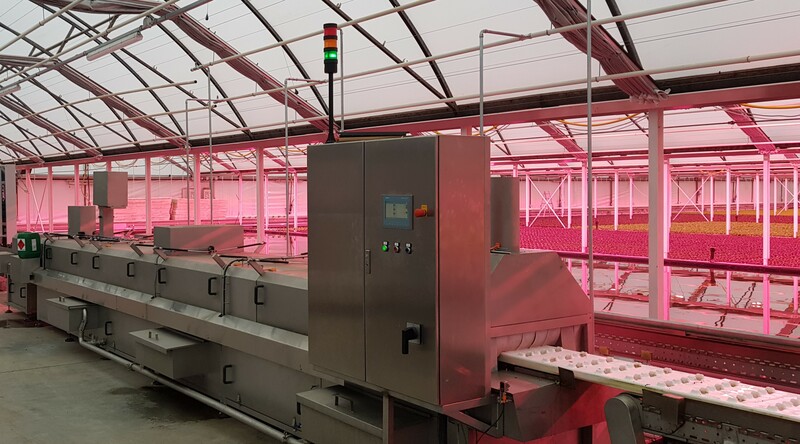 Using this machine, floats can be used for many years whilst not decreasing the quality of your growing system!